Haven’t discussed apps in a while and felt it was time to geek out on you! Besides, "Priest" wasn't getting very good reviews, so skipped it this weekend. Seen too many average films this year. Believe it or not, "Fast Five" is still the best of 2011 so far! Now, how about a Qwiki? No! 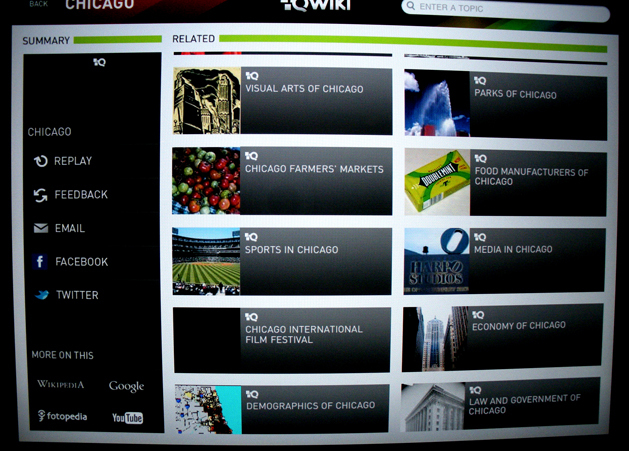 The app Qwiki. If you have an iPad, iPhone, Droid, or other gizmo, check for this awesome app. Three million topics all in one app! It’s interactive summaries of millions of places, people and things. Want to know about Chicago? You’ll see a short video first and then it gives you options of what you want to explore around Chicago. Want to know more about Iron Man? Whales? Kate Beckinsale? It’s all there! It’s like a glimpse into the future – so interactive, with video and audio. Perfect for writer research as well. A totally cool app! Give Qwiki a try. And don’t forget the blogfest! 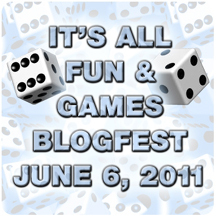 It’s All Fun & Games Blogfest, June 6, 2011 - list your three most favorite games and why. Board games, card games, RPG, video games, physical games, drinking games - even mind games! If it’s a game you enjoy playing, it’s worth sharing. Just had a look at qwiki, very interesting approach. Limited subjects you can search for (I tried Donald Maass and got nothing)but once they expand it a bit I can see it being very useful. I don't care about the poor reviews that "Priest" has received, and I still want to give it a shot. Priest is the one movie my husband wants to go see, dang! He has a Droid and has learned to hate it, but it's very very helpful on his job, so.....he likely has that app. Would it work on a blackberry? Moody, I'm sure they will continue to add to it. Thought it was pretty ingenius though. Words, I'm not sure, since I don't have one. Sweet! This seems like a really fun blogfest. Will do. Thanks. This app sounds so cool! I have an iphone so I will definitely check it out!! hadn't heard about this one. good info! I am not an app person. I don't own any ithings and I like it that way. I can't wait for the blog fest. Sounds like fun!! I'm still waiting for the new love of my life The IPAD. Thanks for the tip - I'll give it a whirl on my Android. Melissa, it has so much potential! Yvonne, may your love appear soon. I just signed up for the blogfest - I'm a games fanatic, so this one is perfect for me! I've entered. Now I need to go set an outlook reminder. I think I'll just drool over Bassa and Byron (the older version) today cos I haven't a clue what an app is! LOL!! Ahem. I think I'm behind the times as it took me forever to get a cell phone. Don't know how long it will take before I get into the ereading thing. Ipads, Iphones, kindles, and nooks all scare me. I know Priest has gotten terrible reviews, but I still kinda want to see it. There are so many good movies coming out this summer, though, maybe I'll save my money for one of them. Dang. I wanted to go see Priest. I don't always agree with the critics, though. Argh, yeah, I'm disappointed Priest is getting bad reviews, too. Also feeling the pressure more than ever that I should just cave and get an iPad...thanks for the post! Also, signed up for your blogfest and can't wait. I already have my picks. I thought is sounded like a waste of time. Who wants to research whales or chicago? but then you mentioned Beckinsale. App downloading. Ugh! I am so far behind the times. I still have to get a smartphone. At least I don't have a flip phone though. Do they still make those? At least I'm typing on a new iMac. I have a Droid, so I will definitely check that out. Thanks for the info, Alex. Sorry I can't join your blogfest. I am blogfested out at the moment. but havae fun! Qwiki sounds like a great idea! I have a feeling I'm going to be one of those who'll get left behind in the technological dust one of these days. I have no smart phone or iPad or any of those devices. Just a laptop (which won't be long for this world), and a desktop. I'm definitely falling behind the times, but you know what? I think I'm okay with that. Also, Fast Five was really that good?? It hasn't been on my list of movies to see at all... But now I may have to reconsider. Fast Five is a good film until you compare it the other Fast and Furious movies where it comes up short. Priest is awesome. I wouldn't go as far as to say my favourite of the year so far (Limitless gets that) but it is up there for sure. Huh! Interesting app! Sounds handy! Thanks for the info! The app looks interesting. 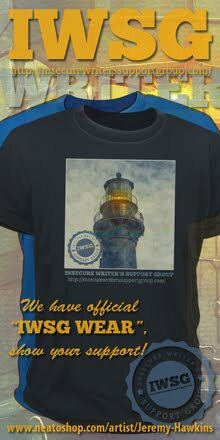 Thanks too, for stopping by the blog and commenting about the conference. Maybe when you are out this way on a book tour we can feature you as a speaker. :) Have a great week! If Qwiki is a good and useful tool. I have signed up for the June 6, we see that the game can be attached to my photos. i'm in. keep reminding us, though, so i don't forget. Susan, glad you're on board! Matthew, glad you yielded to the pressure. Kitty, you drool all you want! Angela, I still don't have a cell phone, but I do love my geek gadgets. Summer, that's how I felt. Fingers crossed Pirates is good. LC - do it, do it, do it! Karen, it's still weeks away, so don't cross it out yet. Jeffrey, you don't have an iPad, and I don't have a cell phone - I think we're still cool though. Sara, Fast Five was the best of the five - smart and fun! Andy, I thought the last two were the best and at this rate, I can see five more movies. Leovi, I bet your entries are the most creative!! Sarah, I was afraid of that. Really need a movie that will rock my world right now. Sad to hear Priest isn't living up to the hoopla. Thanks for the app info; sounds great! I'm not keen on apps - mostly because I can a very addictive personality and I'm very afraid of throwing more into the mix! With these apps we won't need books any more! That's a little sad. End of school activities will take up a lot of time that week, so I don't dare sign up for the new blogfest! Enjoy! I just checked out qwiki on the web. It's okay and fun to play with, but if I need information for writing it's too hard to narrow in and get details. Paul, I assume no responsibility for lost writing time! Holly, but for general information on a subject or area, it's really cool. I'm sure they will continue to add to Qwiki. Jamie, I can tell your game list will be interesting! That looks awesome Alex, and yes- looks like it could give a certain major search engine a run for it's money. I'm so out of it. I don't have any of those gadgets. The app sounds cool. Wicked cool app. I'm downloading it tonight. App is a very twenty-first century word but a very ancient concept. I'll have to check that out. I'm obsessively in love with my iPhone...And count me in for the game blog-hop. Sounds like a good time! I don't have an iPad, iPhone, Droid, or other gizmo. Does that mean I'm not a geek!?!!? I'm always up for a Qwiki. Oh Alex, you got me excited by suggesting a Qwiki - especially given I'm sure your hugs are something special. I'm still thinking about this games thing. Yep, I'm thinking Priest will be another renter. Abby, and the more they update and expand, the more awesome it will become. Copyboy, it will add to your posting fodder for sure! Tina, glad you're on board! Lynda, you're still geeky cool! Nicki, better than a nerd, right? Robyn, you'll have to ask my wife! And come on - kid's games. You know you want to! I've definitely been lamenting the shortage of good movies thus far in the year. That's alright though, since I can barely afford them nowadays. Thank Crom for Netflix! I am so technology illiterate. I have an iPhone but I don't have any apps. At least, I don't think I do. I am not really even sure what an app is. How embarrassing. Missed, maybe I need to do an apps post. My wife and I decided to skip "Priest" too. FAST FIVE looks like fun, although I'm seriously considering venturing into the land of annoying ring tones and sticky floors to see THOR. Cool app! I'm going to check it out. Should be lots of good movies coming out... Pirates, HP, X-Men, all good stuff. So excited! Fast Five was an amazing movie, and I am not even a fan of the first four! I think they did a lot better with the plot line than the other ones (where it was more about the driving.) And I just got my first smart phone (I know I'm behind the times.) I'm excited to explore new apps and this one sounds like a lot of fun. Considering I do a lot of traveling, I'll have to get it! It sounds like a great research tool! Sometimes I do wonder what it would be like to have a device that handled apps . . .
Ooh that blogfest is very tempting, but I'm going to have to wait for the next one. Have fun! That's a bummer about Priest. Guess I'll skip it, too. Fast Five is at the drive-in this weekend, so I will be sure to check that one out. Love those movies! I know as much about aps as I do women, but I am excited about this one although I am excited for this one. Awesome post man! Keep up this excellent work! Liz, the only thing annoying at my viewing of Thor was stupid parents who brought a two year old. Alexia, next month rocks for movies! Ava, I was impressed with the plot line for Fast Five. Eagle, you have to try it sometime! Thanks, Jamie - and enjoy the drive-in. I'll look for it on my iphone. And signing up for the blogfest. Hope I remember! Okay, I'm ashamed to say that I still only have a phone that calls people. And texts. Maybe someday I'll get with the program and buy a smartphone so I can try out some of these newfangled apps! I think I'm with Liza (above): very much last century. I can get the basics, but beyond that... I just wish I could get my WordPress blog that I just put up past the basics. It might not happen unless I find someone to help me. I only hope Blogger doesn't crash again, though it still isn't working completely. I can't change templates. But I think for me this is a blessing! I love coming over here. Your site looks so High Tech! And thanks for congratulating me today on my book launch. It really has been a "heck of a journey." I will remember to enjoy the ride, as you said, and to enjoy the number one thing in life: people. Everything else doesn't really matter. Your knowledge, Alex, astounds me. Qwiki - can't wait to try it. That sounds like an amazing App... I plan to look into it the moment I can afford to buy my Ipad... I want it so badly I can taste it. I was hoping for my birthday, but no such luck. Something to look forward to in the hopefully near future. 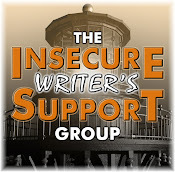 Just signed up for your blogfest, It should be great fun! Sounds like a cool app. Since my wife has the only iPhone in the house I guess I will have to sneak onto hers. Liza, that's okay - I still don't own a cell phone. Ann, I'll plug your release on Friday as well!! Rusty, don't rush into it or it'll be over before you know it. Michael, glad you're on board! And discovered a lot of cool things abut Chicago while I was browsing. Chuck, do it then claim ignorance! Great app. Unfortunately it's only for you Apple people. Nothin' available for Android. Oh well, I can still browse out to it if need be. Thanks for sharing, Alex. Thanks for the suggestion! Qwiki is an awesome search engine. Not on Android yet. Curse you iPad!